Sounds ingredients are a concentrated of the different experiences from the two members Luca &ldquo;DJ Rocca&rdquo; Roccatagliati e Fabrizio &ldquo;Taver&rdquo; Tavernelli: Electro, New-Wave, Italo-Disco, Chicago House, Disco, Neurofunk, Eurodance, Space Sounds. 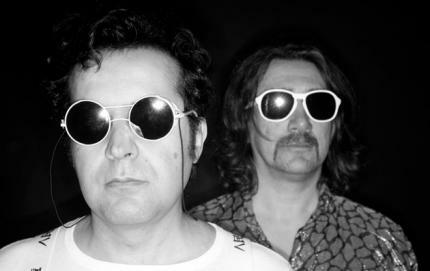 Although Ajello is been introduced in the Nu Disco scene, their productions receive good reviews on the international magazines, and are played from the better world DJs. Dimitri From Paris, Andrew Weatherall, Boy George, Tiga, Luke Solomon John Digweed, Layo &amp; Bushwacka, Nick Fanciulli, Miss Kittin, Funk D&rsquo;Void are some of the supporters. After a handful of individuals singles and some remixes that make the difference, Ajello begans with the album "Spasm Odyssey" in the December 2006, catalogued from the skilled printing like 'high school d' entertainment Dance'. The last Ajello cosmic episodes see involved them in two lucky EP for Belgian label Radius and the English Deep Freeze, plus some remix for label Rekids, Philtre, Rebirth and an interpretation of the seminal Italian new wave group N.O.I.A.. In the course of the last months Ajello spinned on consolles in various European venues, like in London, Oslo, Helsinki, Brussels, Zurich, Bern, Berlin, Edinburgh, Vienna and Brazil.